Having royal decors, Hotel The Black Gold is an ideally situated hotel that ensures you an amazing stay. The hotel staff gives you a warm and friendly welcome at the reception. 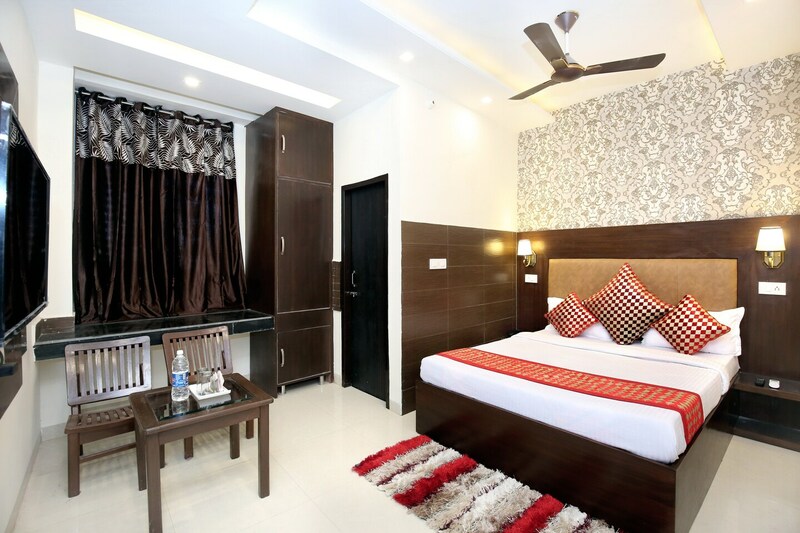 The well-equipped rooms with the amenities that are essential are absolutely clean and well-lit with lovely lamps on the headboards of the beds. The rooms are tastefully designed with royal designed wallpapers, patterned cushions, upholstered beds, and dark curtains. The bathrooms are equipped with a geyser for winters. The hotel provides other facilities such as parking facility, laundry service, free Wi-Fi, and CCTV cameras. There are plenty of restaurants nearby that will provide you with delicious meals whenever you are hungry.